Sometimes niacin therapy or statin drugs alone don't work well to reduce cholesterol. That is why drug manufacturers have come up with a combination that does appear to be effective, even if there are risks involved. One such drug used to reduce cholesterol by combining drug groups is called Advicor. It combines lovastatin, which is a statin drug with niacin, which is a B-complex vitamin. This type of prescription is usually given as a last resort for people who have not been able to get their cholesterol levels under control through diet and exercise. There are cautions that need to be taken when using Advicor to reduce cholesterol. This is because niacin comes in long acting and quick release forms and the two are not alike. If for example, you have been taking just a niacin drug to reduce cholesterol, it was probably an immediate release form. Your body must adjust slowly to the long acting version before taking Advicor alone. Doctors will work to gradually increase your niacin levels before prescribing Advicor. In order to get the most out of Advicor it should be taken with food. This helps increase absorption and minimized the risk of an upset stomach. Nausea is one common side effects of taking Advicor to reduce cholesterol. Headache and dizziness are also side effects, as are itchy kin and a rapid heartbeat. Sometimes the side effects outweigh the benefits when taking drugs, so if side effects are unbearable, you will need to gradually go off this medication. Natural methods of reducing cholesterol are equally as effective at reducing cholesterol as drugs but without the added side effects. 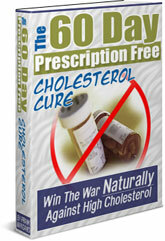 To learn more, you can read The 60-Day Prescription Free Cholesterol Cure.